Scientific Studies Regarding Hernia Mesh Issues | Avram Blair & Associates P.C. Do you wonder about your safety after a hernia mesh implant global recall for safety reasons by the manufacturer? The recall prevents further use, but what was so dangerous about the product that would prompt a recall o begin with? Following are several scientific studies conducted on patients implanted with hernia mesh products. These studies addressed certain failure aspects of mesh products by tracking complications and the potential for complications after surgery. The studies speak to the safety and integrity of the product. To find more about each, simply click the link in the study description. 1. MRSA Infection and Hernia Mesh. This study involved 632 hernia mesh implanted patients, and lasted a full two years. During that time period, 31% of the patients in the study group experienced complications. These included: cellulitis, nonhealing wound, necrosis, hematoma, seroma, fistula and dehiscience. Furthermore, the study suggested that patients diagnosed with what is known as preoperative MRSA+ internal infection from locations like blood, urine or surgical site could have an elevated complication risk if hernia mesh products are used during surgery. This study was conducted in August 2016. 2. Prior MRSA Diagnosis and Hernia Mesh Infection. This study of 768 hernia repair patients, conducted in August 2015, yielded the following results.. Out of the research group, 10% developed a mesh infection. In addition, 1/3 of the patients in the study already diagnosed with pre-operative MRSA+ infection developed an infection from their hernia mesh product as well. Mesh Failure Bacteria Study. A total of 36 patients were examined for this bacteria study. All of the participants must have experienced hernia mesh failure in order to be considered for the study. Here are the results. 3. Intervention failure after complications arise. It also cites hernia mesh infection as one of the main reasons for hernia mesh removal after surgery. Two other studies underscore this fact. Adhesion Potential and Hernia Mesh. The first was conducted in June of 2016 and addressed the Adhesion Potential of Hernia Mesh Products. This study notes the occurrence of adhesions where hernia mesh products are used for repair. It found that using a mesh product for repair held greater potential for adhesions to occur, most often along the edge of the hernia mesh patch near the suture site. Their have been several documented instances of hernia mesh adhesions turning into something a bit more sinister. In the most extreme case, hernia mesh grew into a woman’s intestines causing extreme pain and discomfort. She continues to suffer today. This information seems to further validate a previous study conducted in November 2013 involving Coated VS. Uncoated Hernia Mesh Products. This particular study compared uncoated polypropylene to different coated polypropylene varieties placed intraperitonally through laparoscopic procedure. Not surprisingly, coated polypropylene mesh products developed adhesions in substantially more cases than uncoated varieties. Coated mesh products involve coating the hernia mesh product with animal tissue. As the mesh product is implanted, the animal tissue serves as a growth catalyst of sorts, encouraging the muscular wall to repair itself. This study seems to indicate the coating could be problematic for the patient. Infection Studies. Two other studies highlight the danger posed by hernia mesh products. Both of these studies involve ventral surgery. In August 2012, a study was conducted regarding ventral surgery hernia repair and biologic hernia mesh. This results of the study showed how dangerous coated mesh products can be. In fact, other mesh products had to be used for the study since biologic mesh products held such high potential to create bowel adhesions. It was discovered that they mesh product served as a catalyst. Back up a year previous to July of 2011. A study was conducted to try and understand the problem of mesh infection as it relates to ventral hernia repair. Highlights of this study ed around a comprehensive overhaul of classifying, identifying and reporting mesh infections. Most of the problem has to do with the dormancy of the infection. 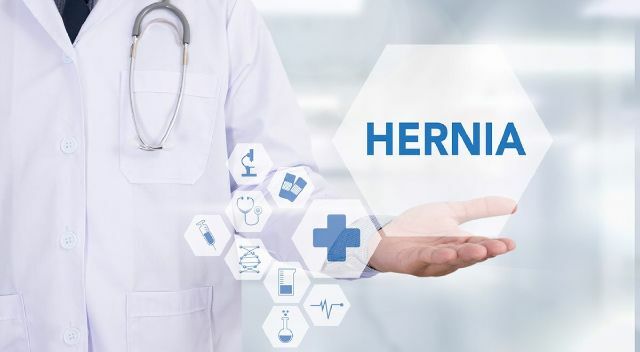 After hernia mesh is used during surgery, it may take years before an infection is recognized and diagnosed. These two studies underscore the danger of using hernia mesh as a means for repair. The potential for infection is always present. Keep in mind, these are just a few highlighted studies that speak to the danger of hernia mesh. They speak to the potential hernia mesh products have for causing infection or other problems (like bowel adhesions) which lead to infection. Diagnosing the problem could take years due to dormancy, and the damage could be substantial by the time infection is discovered. Also, these issues are just for individuals who otherwise have not other serious medical condition prior to surgery. For those who are diagnosed with something like MRSA, using hernia mesh could further exacerbate their situation.